In general, empathy is usually described as the deeper of the two feelings. Feeling empathy means that we understand how another person is feeling, and perhaps have a shared experience. 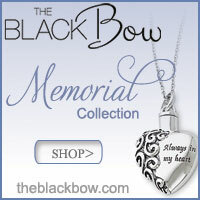 We express our sympathy to another person, but usually don't really know how they are feeling. In this article we explore the differences in meaning between the two words, and how we express both sympathy and empathy. 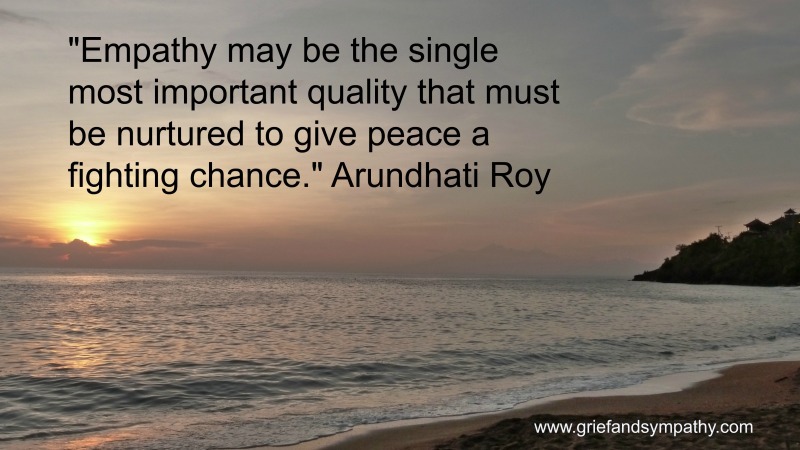 We ask the opinions of grief counselors, we talk about how to become more empathetic and we share some of our favourite quotes. There is also an excellent video by Brené Brown which describes sympathy vs empathy in a humorous animated short clip. 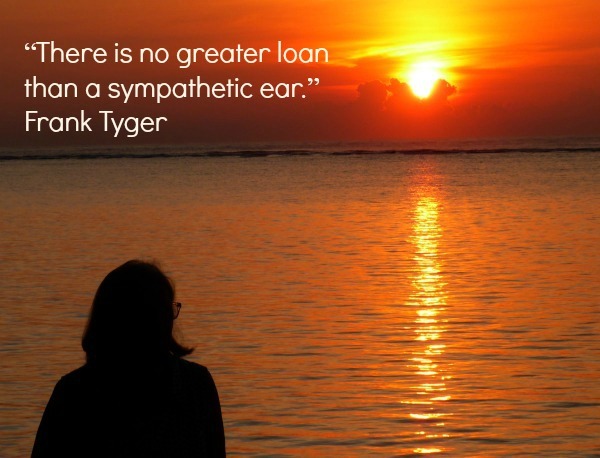 In my view, sympathy is something we often express quite formally to those who are grieving a loss. 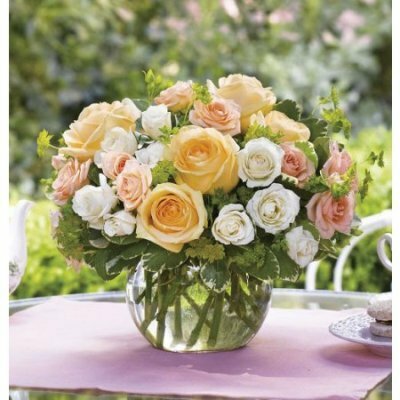 We send cards and flowers and we have a range of traditional expressions and quotes that we can use. 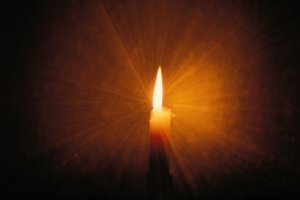 Sympathy can be expressed by anyone, even if they don't really understand the feelings of the person who has suffered a loss. 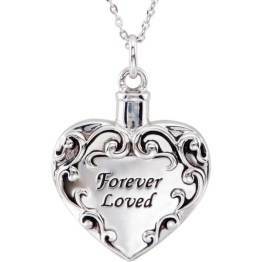 You may never have lost anyone yourself, or know what it would feel like, but you can express your sympathy. 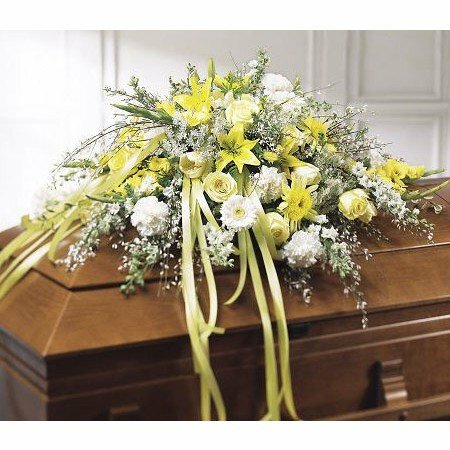 People frequently don't know what to say when someone suffers a loss and for that reason our pages which give examples of words of sympathy, letters, messages and phrases to express sympathy are our most visited pages. Of course, sympathy doesn't necessarily exclude empathy. You might have had a very similar experience to someone and have a good idea of what they might be suffering, but you would still send a sympathy message. It might go a bit deeper though, and also lead to action such as a phone call, a visit or a shoulder to cry on, in which case, it would then overlap with empathy. Empathy is a much deeper form of sympathy, where you really feel what the other person is experiencing. Empathy usually comes from a shared experience. 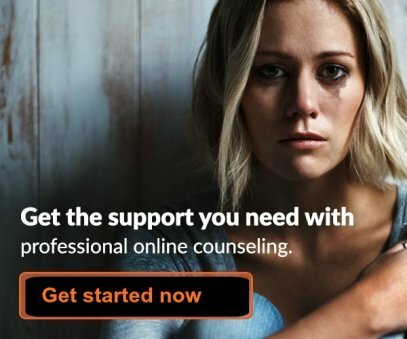 You have been through grief, or illness, or miscarriage, or divorce or separation yourself and have an idea of what the person is going through. But real empathy would also acknowledge that what the person is experiencing may be very different from your own reaction to the same circumstance. Real empathy does not impose your opinion of how someone is feeling, but asks and wants to know. It is an open-hearted invitation for the other person to express how they are feeling and a desire to put oneself in their shoes and walk a while with them. We asked a group of grief professionals to explain what they meant by the two terms. They had some really eloquent answers and we share some of them here. We express our heartfelt thanks for these beautiful insights. "We have great sympathy for each other but I think that it's in the overlap of shared experience that we find empathy. So sympathy and empathy are juggled together in life and where the overlap occurs the sympathy goes do a depth where we find empathy." "Sympathy is projecting onto someone else how you think they feel, so it's about you. Empathy is attempting to feel as they feel, so it's about them." "Empathy never starts with the words "At least...". For example "At least you had twenty good years with your husband", "At least you have a good relationship with your daughter", "At least you got to say goodbye". It minimises their experience and creates a real disconnect." "I know how you feel, in my opinion, is an empty statement and thought. I care how you feel and want to understand what you are feeling AND thinking is much more powerful." "I think that it is possible to have empathy for an experience that one has not had. I do think that it takes a certain amount of emotional maturity, and to be able to let go of one's own "ego" to reach the point of being able to empathize with someone. Most people are too closed off or too self centered to have that. It's a point of growth and maturity and needs to be nurtured." 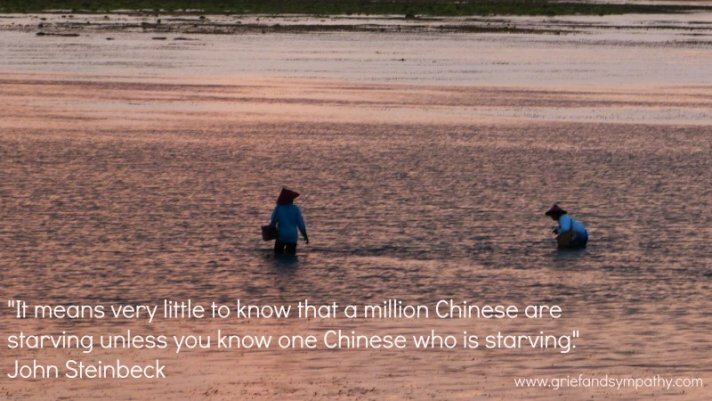 "A very wise dear friend of mine once said to me "Just remember, a man who has never felt hunger can't know what it is like to feel that pain". "Empathy is more deeply engaged than sympathy and feels the other person's pain. It is more likely to happen if the person has a shared experience with the one who is suffering. " "Empathy has an insight into how the other person would like to be treated." "Expressing sympathy is more of a social convention. It is an acknowledgement of the other person's misfortune. We have set phrases and messages we send. We send flowers and cards. With empathy one has more insight into the reality of the situation because we can imagine ourselves in that position. " "For me, sympathy is saying "I'm sorry" and feeling for someone but empathy is when you put yourself in their shoes and really consider what is going on for another. It's like sitting alongside them and giving a bit of yourself. Empathy is much harder but felt deeply by the person receiving it." 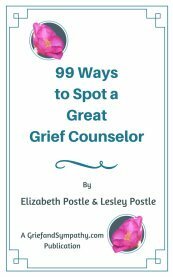 "A client asked me how I learned to do grief counseling, my answer was simple - I grieved! That's how I developed empathy." "Sympathy is feeling for someone. Empathy is feeling with someone. Compassion is empathy in action." I heard on the radio the other day that children are becoming less good at reading the emotions of others because so many of their interactions these days are online. They are getting into fights more because they can't read the facial expressions of other children. This doesn't bode well for empathy in the future. I also notice that there are so many arguments and disputes on social media these days, simply because people misunderstand others through what they have written. Relationships break down and disputes arise because the face to face signals are missing. It is so important for children and teenagers to interact as much as possible face to face with real people to learn skills such as empathy so that they can develop meaningful and long-lasting relationships. Life's hard knocks will automatically make us more empathetic and experiencing grief, or chronic illness will give us the insights we need to have more empathy for others. But you don't have to have had a hard time yourself to be able to express empathy for others. Developing empathy can only help society and will lead to more compassion for our fellow human beings and, of course, for animals too. "Our bodies have five senses: touch, smell, taste, sight, hearing. But not to be overlooked are the senses of our souls: intuition, peace, foresight, trust, empathy. 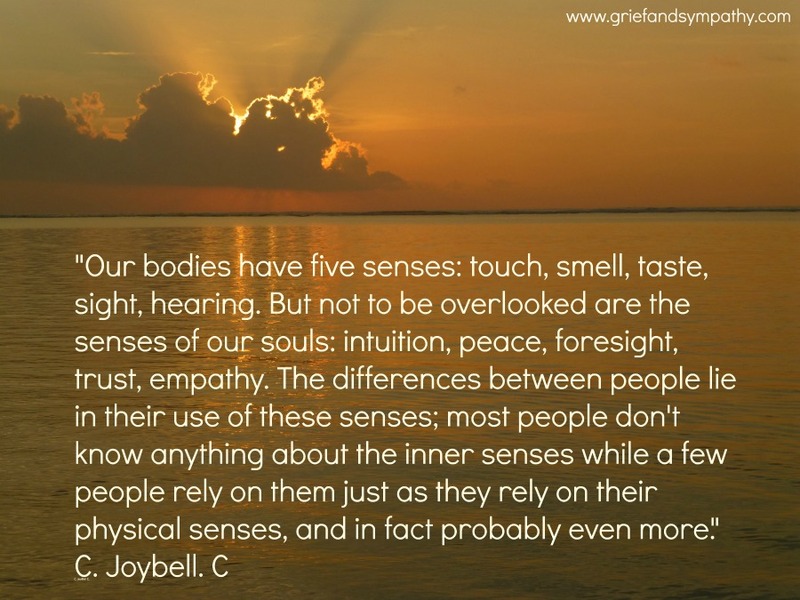 The differences between people lie in their use of these senses; most people don't know anything about the inner senses while a few people rely on them just as they rely on their physical senses, and in fact probably even more." C. JoyBell C.